The house, Meigunyah, has a rich history and is now owned by the Queensland Women’s Historical Association. They own a number of antique quilts that have been kept in their Archive rooms and are rarely seen by the public. 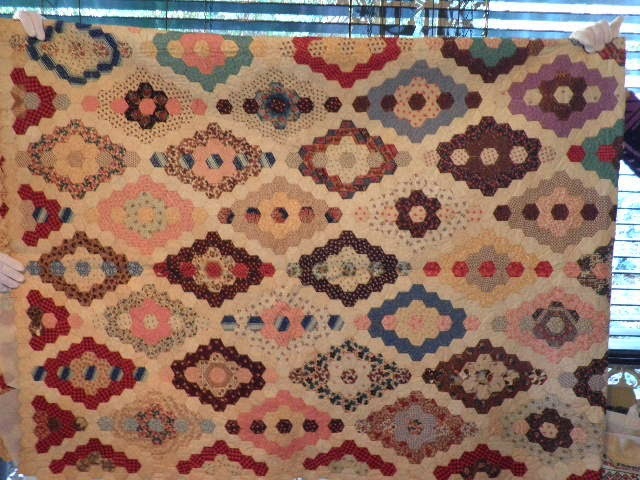 Following the success of the 2008 Quilt Study Group of Australia Conference held in Brisbane, the Queensland Branch of the Quilt Study Group started the process of documenting this hidden treasure. Chris Jones and Margie Creek will talk to us about this important project and will be bringing one of Meigunyah's quilts to Sydney to show us. "Quilting in all its forms interests me – from antique quilts through to art quilts, traditional & modern quilts. Most of my life has been influenced by textiles in some shape or form. From ‘doing fancy-work’ as a child, experimenting with macramé, crochet, knitting, dressmaking, needlework and now I find myself in place where all these skills can come together if I wish it. I helped establish the Queensland branch of the Quilt Study Group when the States were being encouraged to form branches. I am a long term member of Queensland Quilters and have been involved with subsidiary groups of QQ. 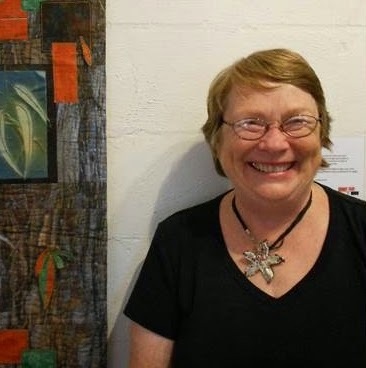 I have enjoyed participating in the workshops and meetings of Qld Quilters Art Quilt group and this has lead to my entering and being juried in to the State of The Art exhibitions. I am currently the curator of the State of the Art 2014 Exhibition. This exhibition displays the works of Queensland Quilters Art Quilters and travels to regional Art Galleries throughout Queensland". 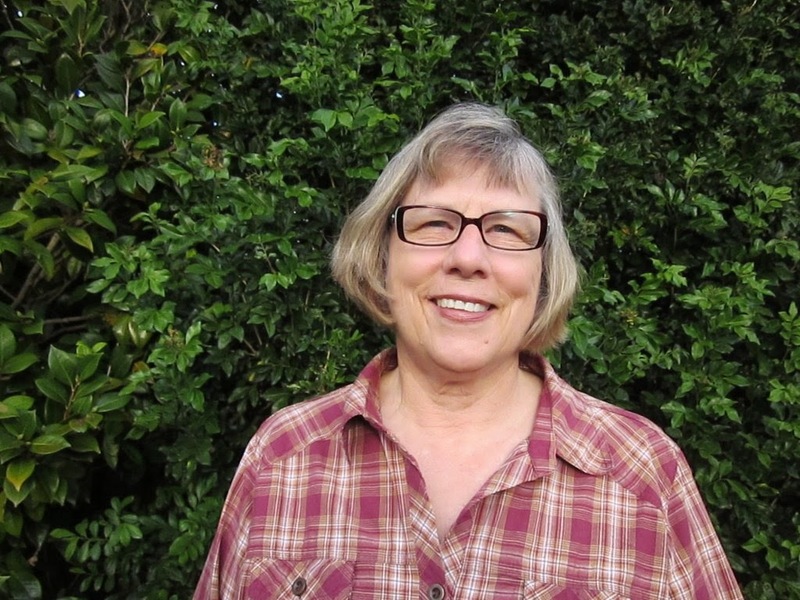 Margie Creek lives in Toowoomba now but was educated in Maryland, USA. Margie married into a quilting family and "was influenced by my mother-in-law. It was visits to her home that increased my interest in this form of textile use. When I had a chance to learn the basics of patchwork and quilting, I learnt formally from a skilled teacher. In 1987 I worked with 2 others on Toowoomba's piece for the huge Bicentennial banner which travelled all around Australia in 1988. The historical background of quilting is a strong interest and my travels have influenced my collection of textiles and creative pieces."